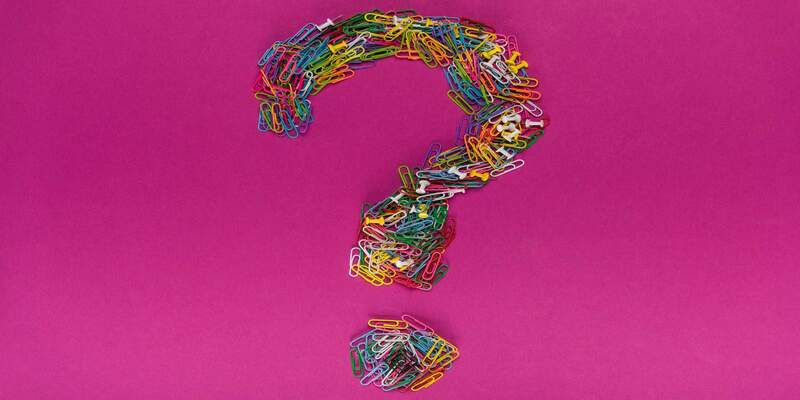 Do you know THE question you must ask before selling your business? If you don’t, you’re not alone. Most business owners either never ask this question or ask it when it’s too late. The next day after my 9-figure exit closed I ask the question of questions. And after I asked this one question, I felt like a lightning bolt struck as I froze with fear. Most business owners never ask this one question. And who can blame them? Your investment bankers will have you answer every question but THE question. As great as your accountants are, THE question they should ask you isn’t even on their radar. And your lawyers? Forget about it. Not a week goes by when fellow entrepreneurs ask me for advice on selling their business. The reactions and answers are polarizing. Some entrepreneurs move forward in the sale of their business with confidence. Some entrepreneurs stop dead in their tracks and decide not to sell. On the spot. And feel great about it. What’s the question that you should ask before selling your business? Ok, enough with the suspense, you say. Not a chance. I’m serious. Imagine you’ve sold your business. Congratulations! Let’s imagine that you have bought your toys. While we’re at, let’s imagine that you’ve traveled the world (and you’ve done it in style). You’re not on the beach sipping your victory Margarita. And, are you ready for it, you’re bored out of your mind. Am I saying that you miss the daily grind? As crazy as it sounds, you miss the challenge, the fulfillment, and the purpose you once had. It’s official. You’re no longer living the entrepreneur life. You were never told THE question to ask before selling your business. And I’ll ask it again. Now that you have all your toys, traveled the world, and you’re bored out of your mind, now what? Sounds too simple you say. Don’t confuse simplicity with simple. Let’s clear a few things out of the way. You have enough money after the sale that you don’t need to work. And since you sold your business, it’s safe to say that your company runs without you. Congratulations! But you’re no longer the center of attention and you’re not creating a market disruption. Those urgent calls, emails, and meetings where you dominate and lead are gone. And of course, who could forget about that non-compete you signed. For the next three to five years you can’t do business in the industry you once dominated. Let’s call it for what it is, my fellow successful entrepreneur. When you sell your company, you’re put out to pasture. And with all those zeros in your bank, don’t count on people feeling sorry for you. And it all starts with the one question to ask before selling your business. Does asking ‘now what’ change your life? That’s exactly what we’ll talk about in the next section. ‘Now what?’ is the first question you must ask before selling your business. When you answer ‘now what?’ you find out if you have a plan for what you’ll do after the sale. Your business gave you a purpose. You started your business to solve a painful problem affecting many people. You solved that problem so well that someone paid you a premium and bought your business. Having a purpose in life is like having a North Star for your life. But that purpose and your North Star is gone. ‘Now what?’ is the first question to ask before selling your business because it sets you up for your next chapter. If there is no answer to ‘now what?’ don’t sell your business. Don’t sell your business if you want to continue to be happy. What about all that money I’ll have in my bank account, you ask? Yes, money makes a difference. But the saying ‘money doesn’t buy happiness’ is true. My dear reader, you need a purpose in your life. Always. But purpose on its own is still not enough. You’ll need one more thing to be both successful and happy. ‘Now what?’ is the question to ask before selling your business because it forces you to look to the future. In the last section the power of purpose we talked about the power of purpose. But purpose on its own is not enough for a successful and happy life. Yes, purpose ensures you have a North Star for your life to guide you in a specific direction. You may even be ultra successful at your purpose. If your purpose doesn’t give you fulfillment, you may be successful and miserable. If you want to live a happy and successful life you need fulfillment in all you do. Money doesn’t give you fulfillment. Yes, money makes life better. A lot better. Money gives you excitement. Excitement from buying that new toy. Excitement from changing someone’s life. And excitement from checking off your bucket list. But the excitement doesn’t last. Excitement, in and of itself, is shallow. Excitement on its own is a fools game, and you’ll lose every time. Fulfillment binds purpose and success to usher in happiness. When you know the question to ask before selling your business, you know what to do after your sale. And what you do after your sale is everything. If you don’t have a purpose that leads to fulfillment, stop. Stop right now and don’t sell your business. The question you ask before selling your business, ‘now what?’, saves you from you and sets you up for success. Your quality of answer from ‘now what?’ will be the difference between happiness or misery. When you answer ‘now what?’ what you’re doing is figuring how to create a life worth living after the sale of your business. Only when you figure out how to create a life worth living, you’re now ready to sell your business. How do you find a way to live a life worth living? You play to your strengths and ignore your weaknesses. Along the way, you’ll find your passion and belief that you’ll incorporate into your new North Star. There is no ‘right’ or ‘wrong’ answer. Afterall, it’s your life. For some entrepreneurs, managing their new wealth yields success and fulfillment. Other entrepreneurs find a new problem to solve and launch a new startup. The smart entrepreneurs still operate like a cockroach startup despite their new wealth. When, and only when, you can answer ‘now what?’ are you ready to sell your business. When you ask ‘now what?’ before selling your business, you set yourself up for a life of success in every way imaginable. After the sale, many entrepreneurs assume they’ll hit another grand slam. After my 9-figure exit with my Edtech, I assumed I would hit a grand slam in whatever new business I launched. I’ve lost millions of dollars in new businesses I’ve started that I had no business starting. Many of those businesses I started because I never asked the ‘now what?’ question before I sold. I caved into the pressure of needing to do ‘something’ when I was doing nothing. Just because you can write the check doesn’t mean you should. Too much time on your hands with too many zeroes in the bank is the perfect storm for mistakes and failure. When you ask ‘now what?’ before selling your business, you set yourself up for your next success before you need it. There’s one question to ask before selling your business. But this question is never asked. When you know what to ask before selling your business, you set yourself up for a life of success after the sale. ‘Now what?’ is the question you must ask before selling your business. What will you do after your sale? Your answer to ‘now what?’ better have you doing activities that give you both purpose and fulfillment. The combination of purpose and fulfillment lead to a life of happiness and success. In the perfect world, I would have asked the ‘now what?’ question years before my 9-figure exit. But now I know, and so do you. And the great news is that I’ve already done the heavy lifting for you. Take the time now to figure out life after the sale of your business. What you answer and how you answer will determine if you’ll have a happy and successful life after the sale. And regardless of what you may think, here’s what I know. I know you can and will succeed. Everything you need you already have within you, right now.